Well, they are correct and we can help you. The best time to look for a new job is when you are happy but something is starting to bother you. It could be that you are getting an itch to see what else is out there; your commute is starting to wear on you; you have spoken with your boss and there is no advancement in the near future; you want more money; etc. If you start looking before any of these or other things become a major issue, you won’t find yourself in a desperate situation. The best way to work with a recruiter whether you are in a desperate situation or not is to be as open as possible. Why are you looking? How actively are you looking? What is your salary? Where have you applied? These might seem like invasive questions, especially if you aren’t actively looking. I am here to tell you the reason we ask these questions. We need to make sure that we don’t present opportunities that have the same reason you are looking. Commute, no advancement, salary, etc. If you aren’t looking than we want to know if you could change one thing in your current position what would that be? How actively are you looking? This helps us understand your current situation and how much you have already done on your own. Regardless of how active you are, we are here as a resource and you should use for that. This question is the one we get the most push back on. I promise you the reason we are asking is to help you, not hinder you. Do you really want us to get you excited about a position, have you interview with the client and then when it comes down to getting an offer you tell us you are making $100k and we already know the client has budgeted $70k for this position? You would hate us, the client would hate us, and everyone would be disappointed. We are up front with our clients just like we are with you. We let our clients know what you are making and what you are looking for, just like we let you know if the position is in the salary range. Hence, this is why we need to know your current salary. If you are underpaid in your current role and afraid if you tell us your current salary it will impact what your offer might be, we can talk through that with you. At the end of the day, we need honesty. We will always be honest back to you, as we work together to get you the most we can. Where have you applied? Where have you interviewed? This is another question we get a lot of pushback on and I am always confused as to why. The number one reason we ask is because if you have applied to a company (regardless of what the position was) in the past six months then we can NOT send your information/resume to them. The second reason we ask is it shows us what type of companies and positions you find interesting and what you are targeting. This helps us bring exciting opportunities to you. If you interviewed with a company, we want to know what happened, what you thought of that company, and if you are still in the process. This only helps us and you in the process. Bottom line, all these questions are to save you time and frustration going forward. Regardless of how actively you are looking, we want to assist you in the process. If you don’t hear from us, that probably means we don’t have a position that fits your skill set, background, salary etc. however, that doesn’t mean you shouldn’t drop us a quick line checking in and letting us know what’s happening with you. The more you stay on our radar, the better. I promise you will never annoy us and we promise to set clear expectations with you. 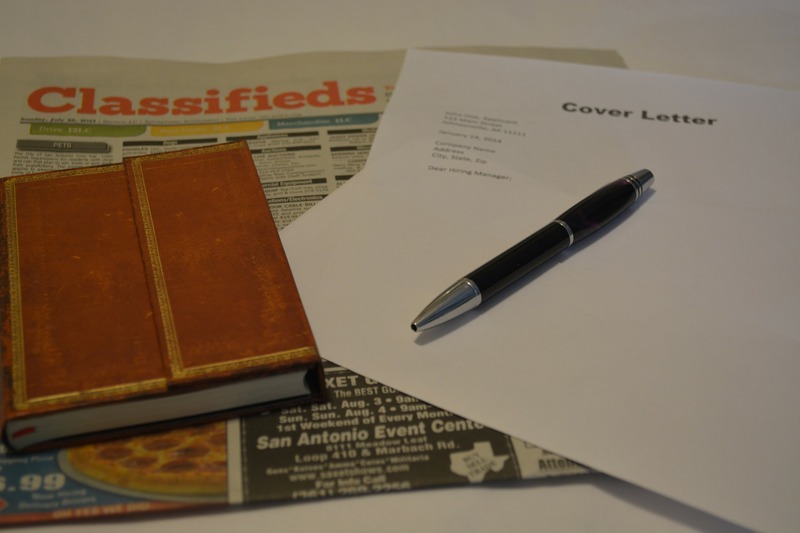 Next week on the blog: How to Work with a Recruiter When Hiring! Stay tuned. If you have any questions for us, call us or contact us today!